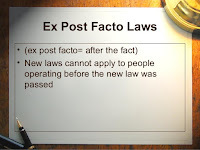 An ex post facto law (Latin for "from after the action" or "after the facts") is a law that retroactively changes the legal consequences (or status) of actions that were committed, or relationships that existed, before the enactment of the law. 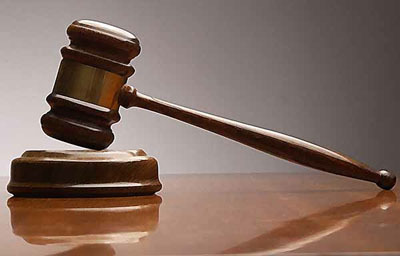 In criminal law, it may criminalize actions that were legal when committed; it may aggravate a crime by bringing it into a more severe category than it was in when it was committed; it may change the punishment prescribed for a crime, as by adding new penalties or extending sentences; or it may alter the rules of evidence in order to make conviction for a crime likelier than it would have been when the deed was committed. Clause (1) of Article 20 of the Constitution of India says that “no person shall be convicted of any offence except for violation of a law in force at the time of the commission of the act charged as an offence, nor be subjected to a penalty greater than that which might have been inflicted under the law in force at the time of the commission of the offence. Article 11, para 2 of the Universal Declaration of Human Rights, 1948 provides freedom from ex-post facto laws. An ex post facto law is a law which imposes penalties retrospectively, i.e., on acts already done and increases the penalty for such acts. The American Constitution also contains a similar provision prohibiting ex post facto laws both by the Central and the State Legislatures. If an act is not an offence at the date of its commission it cannot be an offence at the date subsequent to its commission. The protection afforded by clause (1) of Article 20 of the Indian Constitution is available only against conviction or sentence for a criminal offence under ex post facto law and not against the trial. In Kedar Nath v. State of West Bengal [AIR 1953 SC 404], the accused committed an offence in 1947, which under the Act then in force was punishable by imprisonment or fine or both. The Act was amended in 1949 which enhanced the punishment for the same offence by an additional fine equivalent to the amount of money procured by the accused through the offence. The Supreme Court held that the enhanced punishment could not be applicable to the act committed by the accused in 1947 and hence, set aside the additional fine imposed by the amended Act. In the criminal trial, the accused can take advantage of the beneficial provisions of the ex-post facto law. The rule of beneficial construction requires that ex post facto law should be applied to mitigate the rigorous (reducing the sentence) of the previous law on the same subject. Such a law is not affected by Article 20(1) of the Constitution.